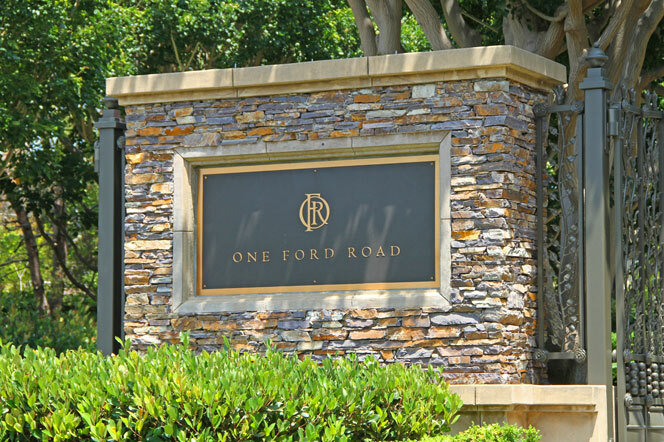 One Ford Road community is located in Newport Beach, California. One Ford Road homes typically range in the $1,300,000 - $12,000,000 million dollar range and is located in a prime area in East Bluff - Harbor View area in Newport Beach. Located in the Harbor View area of Newport Beach, One Ford Road is a luxury gated community with homes built in the Cape Cod style with white picket fences and large park areas. You will find 5 luxury communities located within the One Ford Road community. One Ford Road offers wonderful community amenities which include 24-hour guard gated, 2 swimming pools, gym, putting greens, basketball, croquet and volleyball courts. You will find many organized community activities including children's swim team, community parties and concerts in the park. For more information about One Ford Road homes for sale please contact us today at 949-444-1901. We specialize in the One Ford Road community and Newport Beach Real Estate.